Flags Down...Kernan Road is now flag free. INPT37-210. 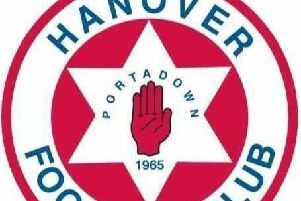 Unionist and loyalist flags have been taken down across Portadown in line with the recently drawn up protocol. The protocol, launched by community development group Regenerate, had set a removal date of the first week in September. This week, the group confirmed that “remaining flags along arterial routes and within communities were removed across the town”. And the organisers have deemed the agreement a “resounding success, and an example of how communities can unite and deliver positive change”. The agreement set out parameters and dates that flags would be flown and taken down, with a date of June 1 before the flags could go up. The aim was to inject respect, and ensure flags didn’t degenerate into rags, with communities instead encouraged to replace or remove tattered flags. Keith McCann said the removal of flags “voluntarily through community agreement” must be applauded and welcomed, and that many young people “played a central role”. He added, “Some areas removed flags voluntarily before the end of July, in particular Kernan, and they must be given credit for that stance. There is still much more work to be done to create a greater understanding of the realities and processes to be followed, and that dialogue can work. “The success of this initiative to date and the enthusiasm of those involved will no doubt lead to further plans for the betterment of the community.